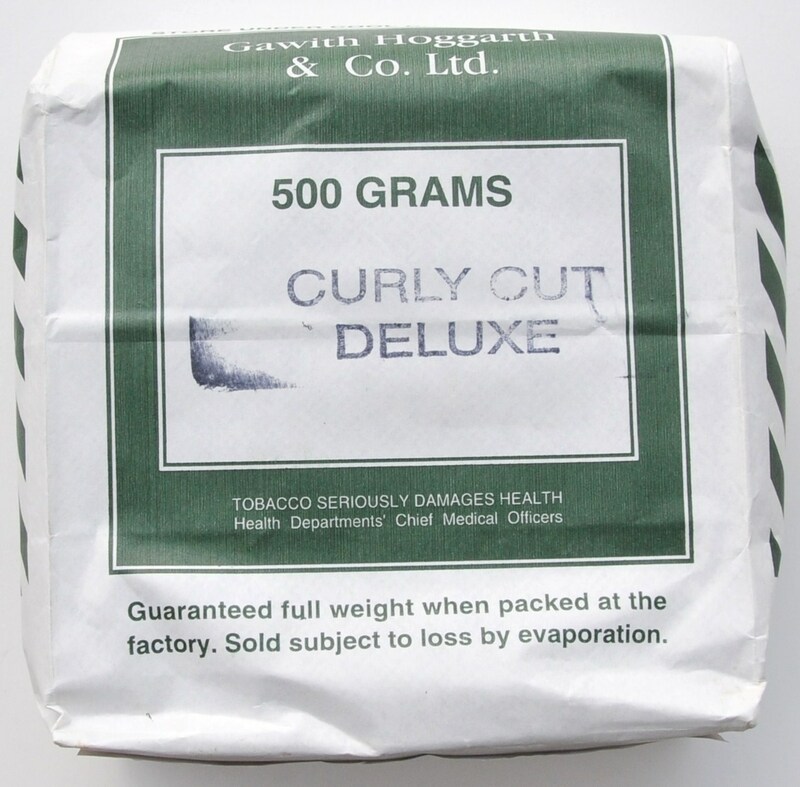 Manufactured by "spinning" tobacco leaves into a rope which is then made into a roll form, pressed, and finally cut to produce the round tobacco circles. 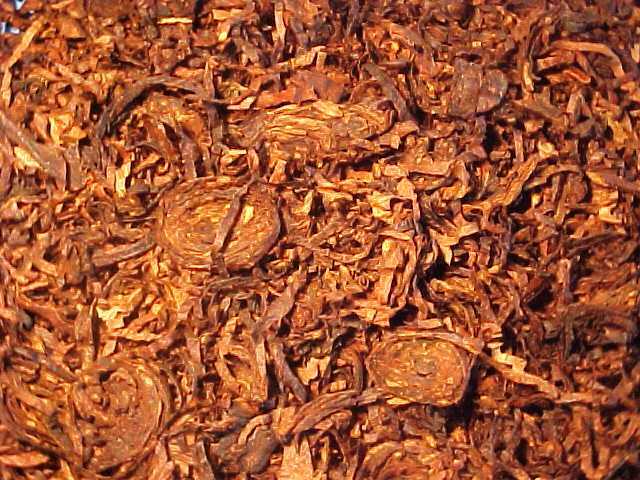 In this tobacco, unlike the twist, which uses all dark leaf, the rope is spun using Bright Virginia leaves for the outer wrapper with the effect of producing both an attractive contrast of colour in the finished cut circles, and, of course, a milder smoking tobacco when compared to the normal "twist" tobacco. When I smoked it the first time, I thought it is the perfect substitute for the OLD Three Nuns, but something was missing. 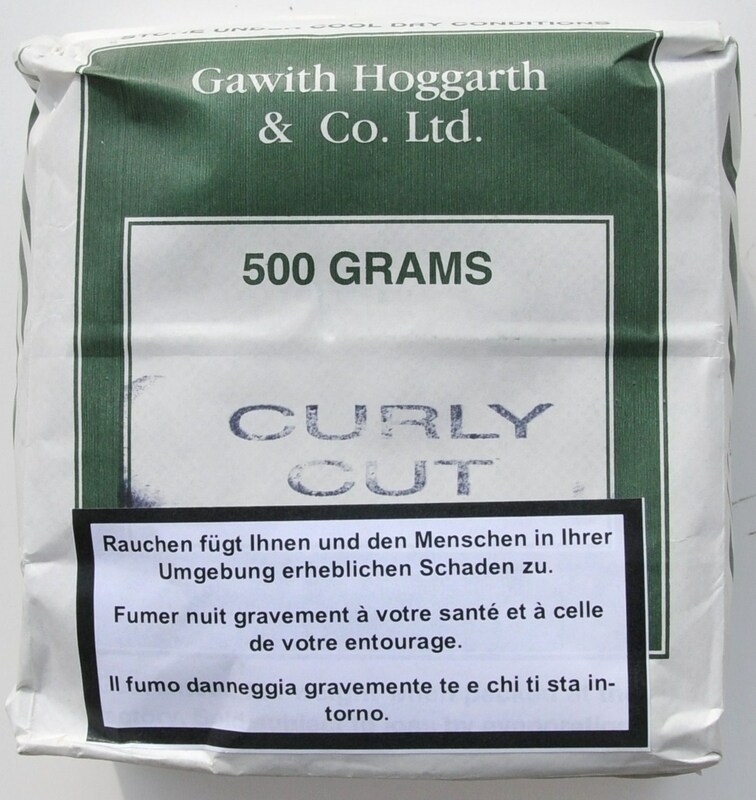 Later I learned from Mr. Gawith that it was indeed made with the orginial Three Nuns in mind, but because they don't have Perique and never use it, Curly Cut does not contain any. 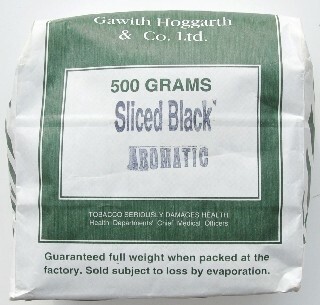 With a bit of Perique, this will turn into the PERFECT smoke, for those who prefer this type of tobacco. 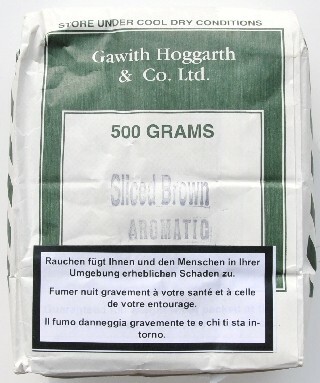 It has the same delicate taste and aroma, with all the complexity of the blend it is made to replace. I take my hat off to GH! As above but made on a different spinning machine that produces a thicker rope. 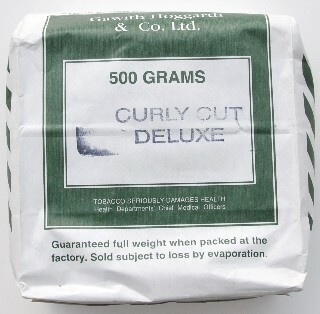 As GH declares this the Curly Cut are made of the same blend. 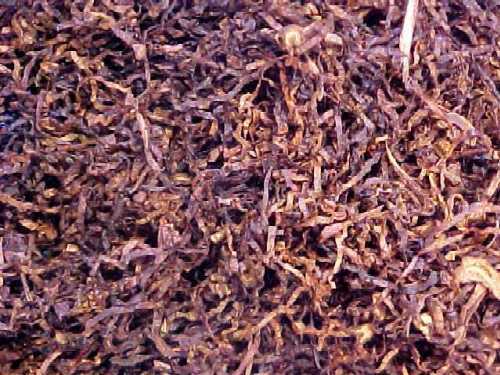 However, when smoked, they are not identical. This is definitely due to the pressing process. This one is called "Deluxe" for two reasons: (1) It is... "Deluxe"(! ), and (2) It was made to substitute the famous Escudo, at least in the looks (Escudo was not yet made available again by the Petersen brothers). It does look great, and it is a bit more compact and darker in color than Escudo. 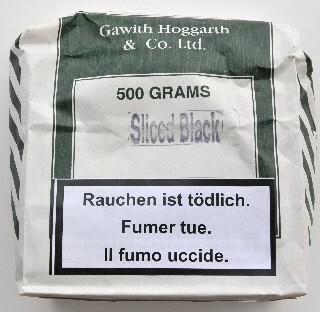 Though it does not have any Perique, it's a very satisfying smoke, and the tobaccos used are of the highest quality. The taste is a bit unimpressive at first, and I found that the more I smoked it, the more I started to discover the great "creamy" taste of pure natural VAs. It does burn slowly and evenly, especially of course, if you don't rub it out. I prefer to rub it out, at least slightly; it makes a lot easier to burn. Ah, when I first smelled it, it reminded me of the smell of leather! It's not at all as bad as it may sound. You'll hopefully see what I mean! 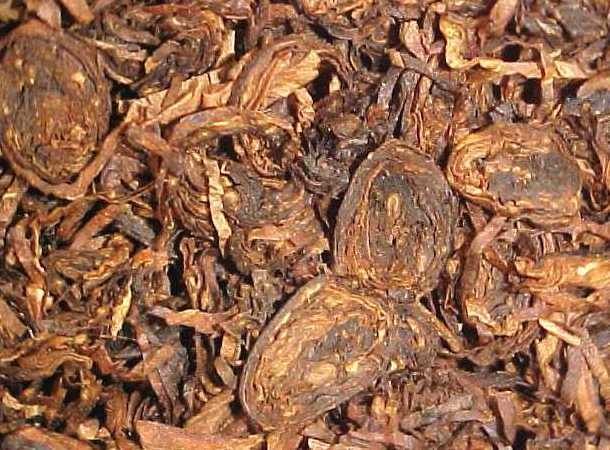 Manufactured from Dark tobacco "whole leaf" rather than strips, the mid-rib (or stem) gives the "birds eye" effect when cut. 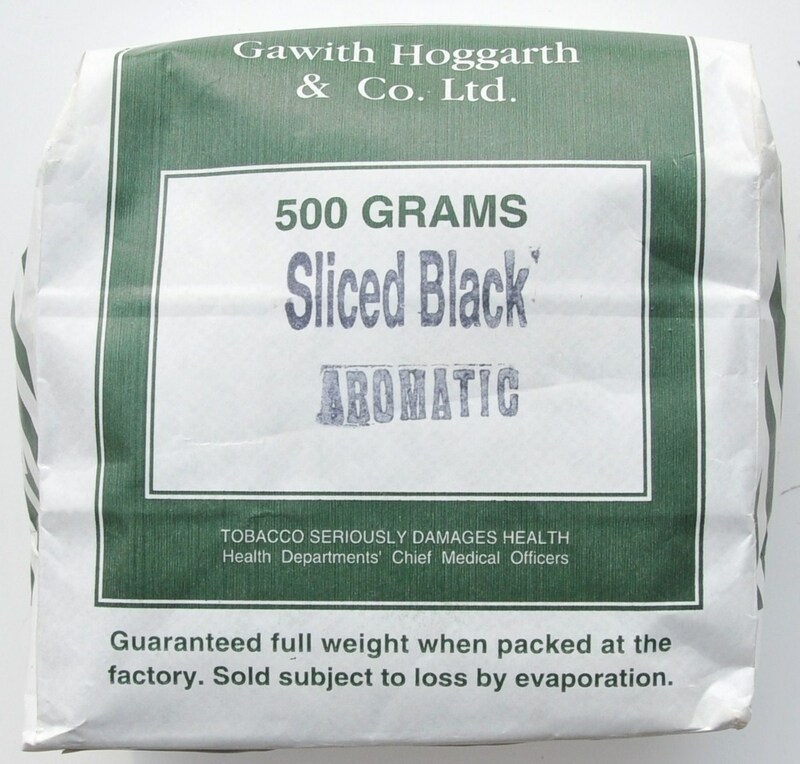 A strong smoke which was particularly favoured by the fishermen as the finer cut meant the tobacco was easier to light and to keep-in on board ship when the weather was bad. Yeah, this is not a mild smoke! I can safely claim that this is one of the most complex and sweetest full-bodied natural VA blends I have smoked to date. 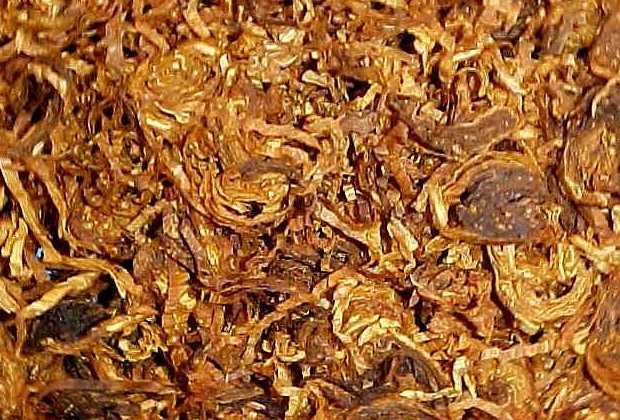 The very long shreds of tobacco make packing a bit tricky; so make sure you fill your pipe as lightly as possible, and if you have trouble, you might want to cut it into smaller shreds with scissors. It's extremely easy to light and keep lit. At first, the taste reminds me of an aged quality cigar, but with a lot more sweetness to it. 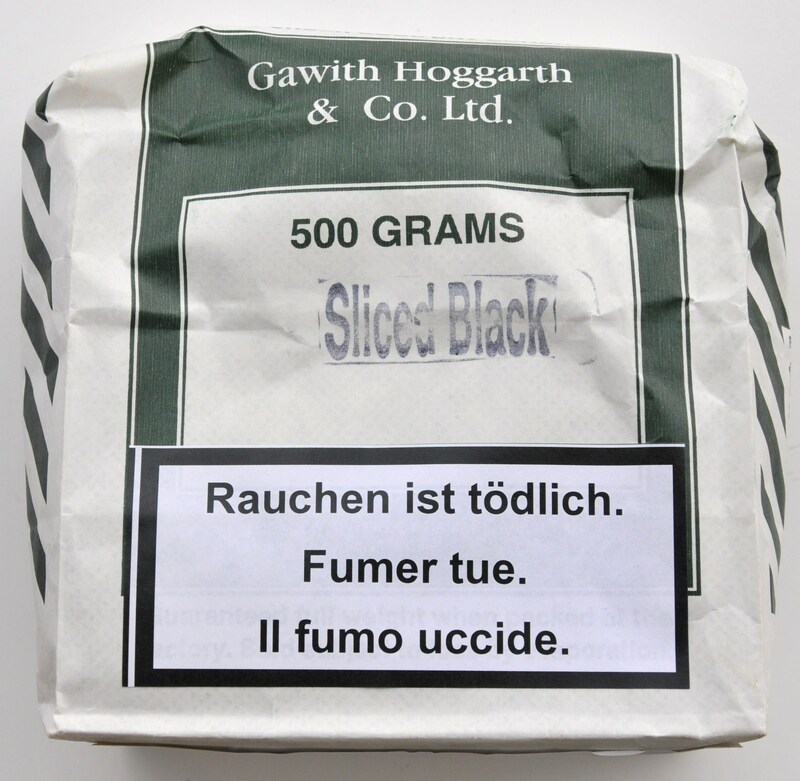 The taste remains remarkably sweet throughout the smoke, with other flavors popping up occasionally. For example, and upon relighting, I detect a very pleasant "flowery" taste! At other times, the dominant flavor is that of nuts! The strength is a bit tricky, since it starts off around 5-6 and gradually goes up to about 7-8; it also seems to vary from one smoke to the other! It's, anyway, the kind of strength that affects your head more than your stomach! However, I recommend trying it the first time on a full stomach. 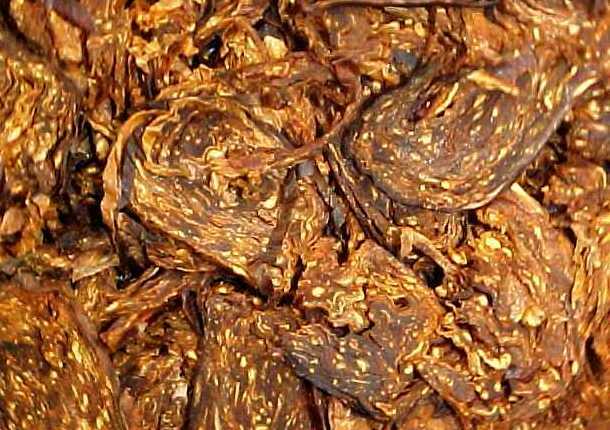 I also think it's the kind of tobacco that requires dedication and attention; it is this way that you can enjoy it the most. It seems to be perfect for conical chambers, which seem to make the combustion more regular. 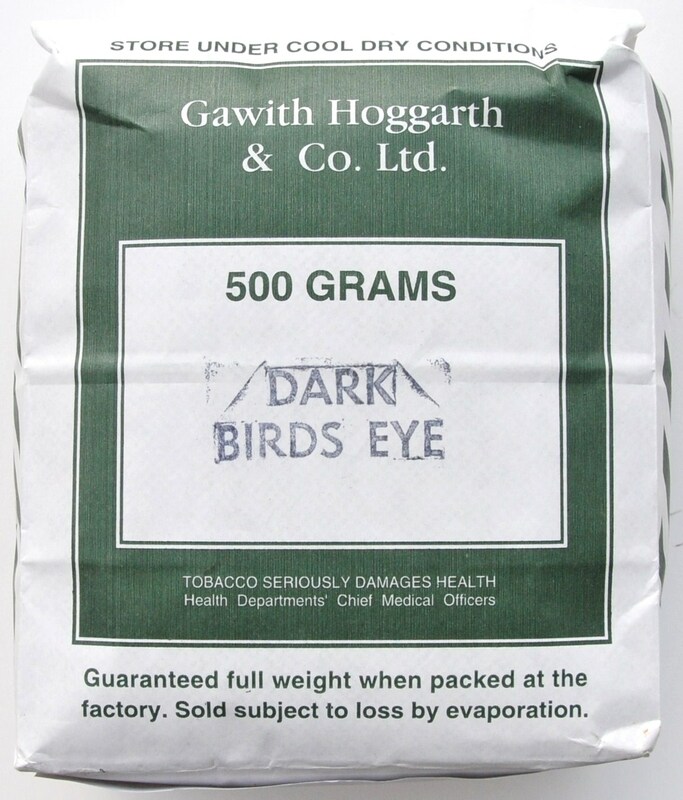 I find that it smokes best in medium size bowls and when puffed on slowly and savoringly. The after taste is very pleasantly "creamy", and the ashes are very fine, silver gray (whatever that means!). For some reason, I think if you like St. Bruno, and its like, you will love this one. 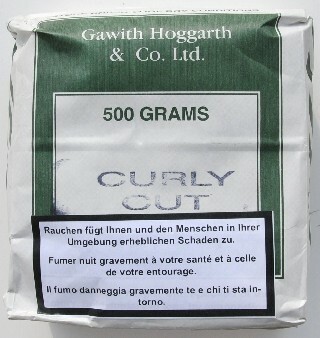 As curly cut, except the wrapper used is dark fired leaf. 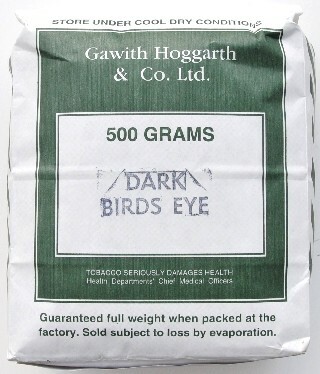 this grade of tobacco we buy from Tanzania, Uganda, Mozambique and Malawi. The characteristics are all more or less the same: The curing over Smokey fires gives this leaf its distinctive pungent aroma and strong smoke. 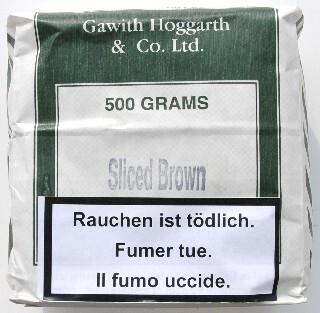 I love the pouch aroma of this tobaccos: It's a combination of sweet & sour. The little curlies look great: Dark and sinister! The VAs used are definitely of very high quality, and the blend is apprently made with a lot of expertise. It's definitely not a casual tobacco. The strength, especially, upon lighting is close to being overwhelming. Then the "creaminess" and smoothness of the 100% natural VAs come through. 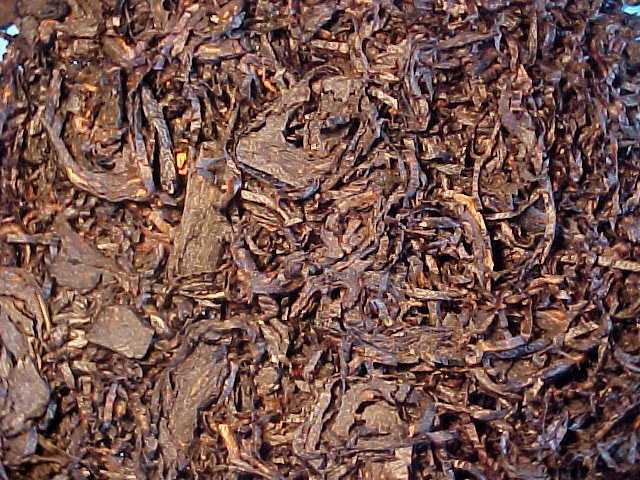 It reminds me of a high quality Dominican cigar, but with added sweetness, typical of strong African leaf. I recommend to smoke it in a small-medium pipe, and on a full stomach. 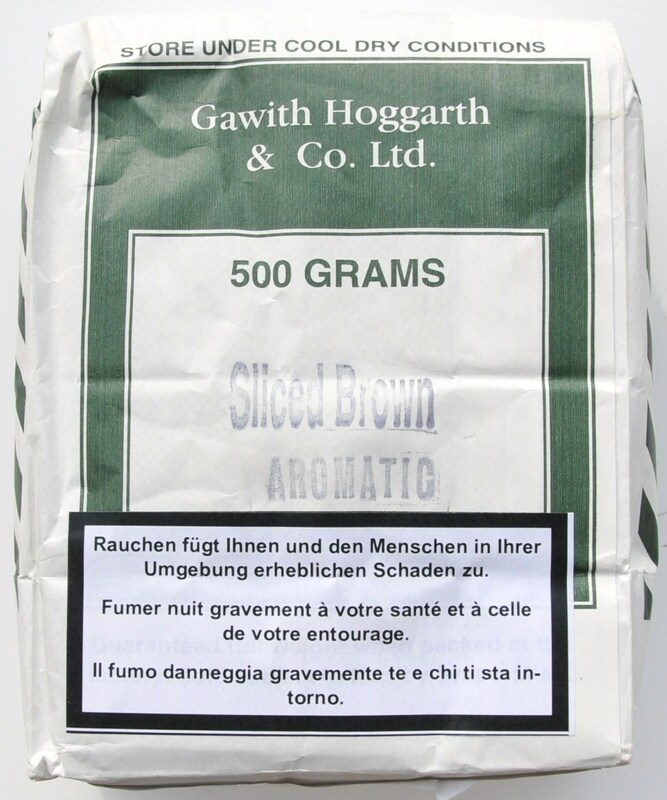 It's similar to the Samuel Gawith Brown Twist, but with more sweetness and smoothness. 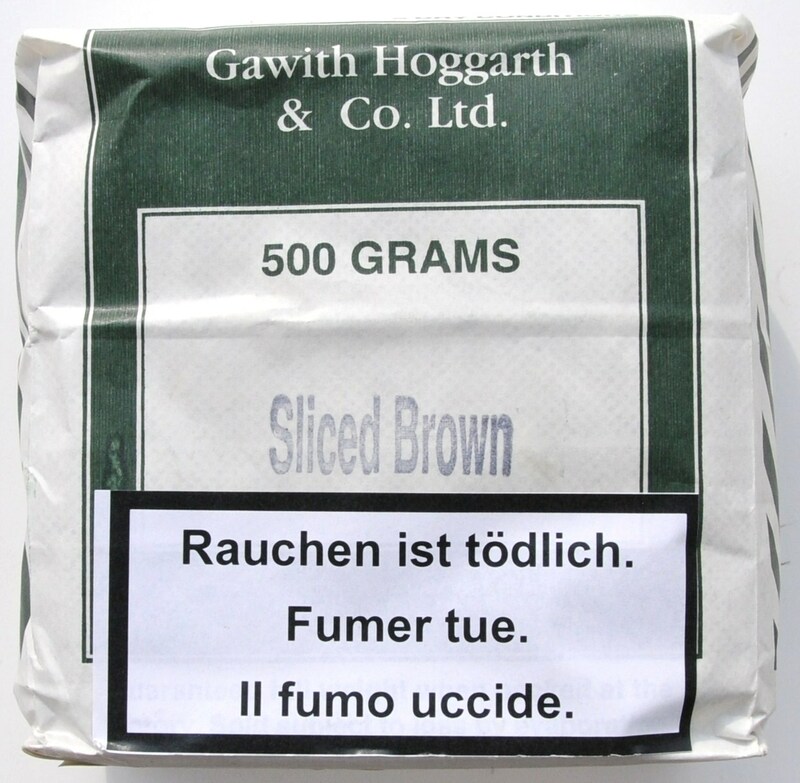 If you want the same tobacco but you tend to prefer a bigger cut, then GH's Brown Twist is the one.